*This offer is available from January 23, 2015 to end of trading on Australia Day, 2015. Turn around the life of one of our many shelter animals and experience the true meaning of mateship with one of our incredible cats and dogs this Australia Day long weekend. With over 110 cats at both shelters seeking a home manager of shelter operations, Jodie Addamo said the summer season has seen more cats than ever come into our shelters than we have seen in a very long time. Waiting six-months to be adopted is Red Phoenix is one of a number of long-term feline residents at the Home. 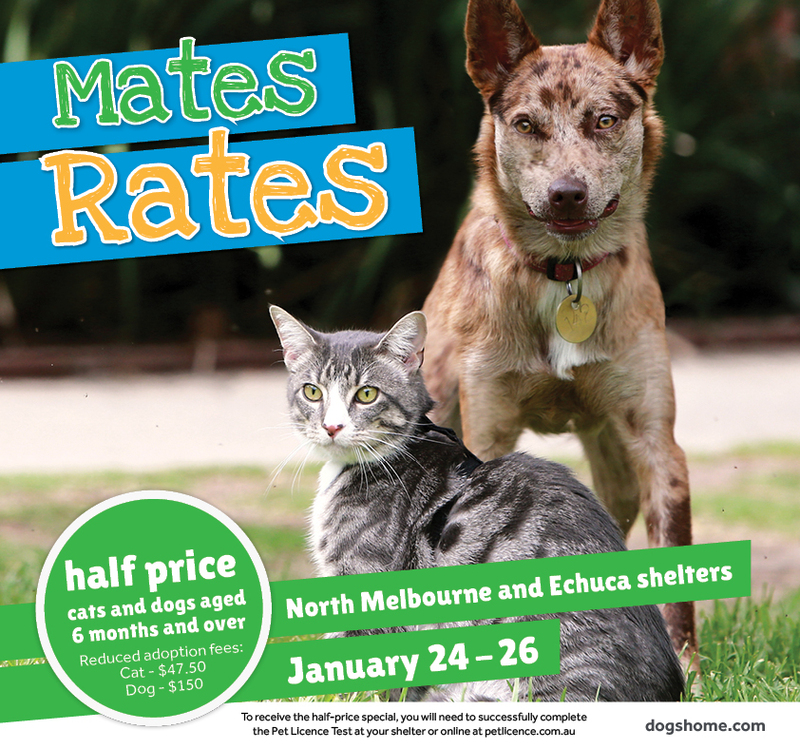 Come along and meet the many cats and dogs at our North Melbourne and Campaspe shelters and receive 50 per cent off the adoption cost for animals aged six months and over!